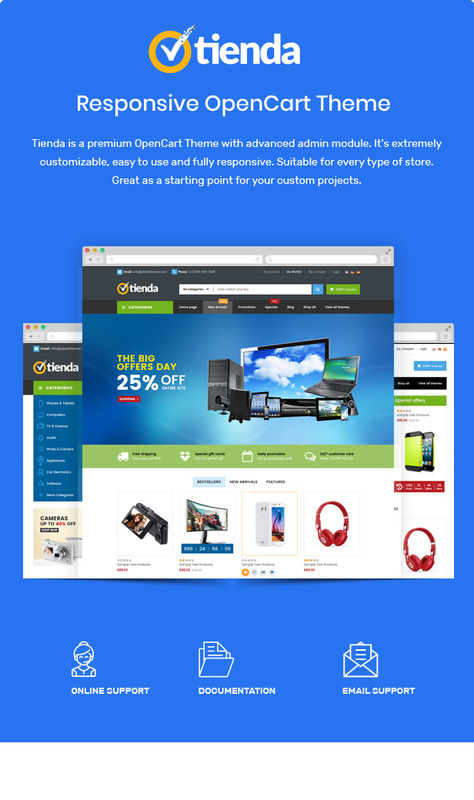 Because this design to sell digital products, so colors in this digital opencart theme are very bright: black, white, blue, green. 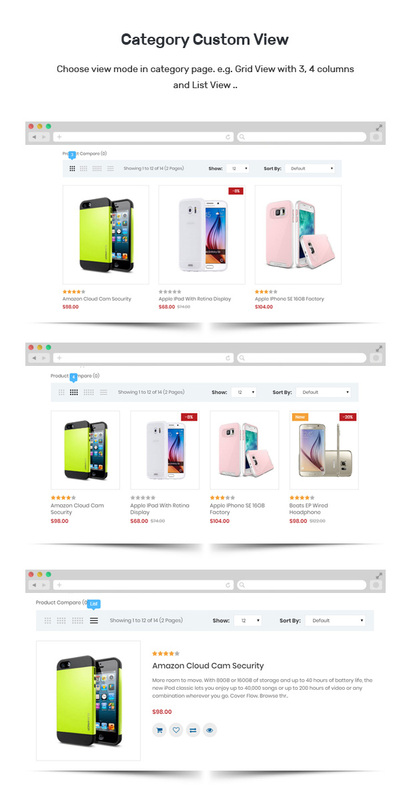 Category Tabs Slider are used in 4 homepages with wish to show a lot of product categories and thumbnail image. You also show categories and thumbnail with Featured Category. Easy to show and config this module in admin. 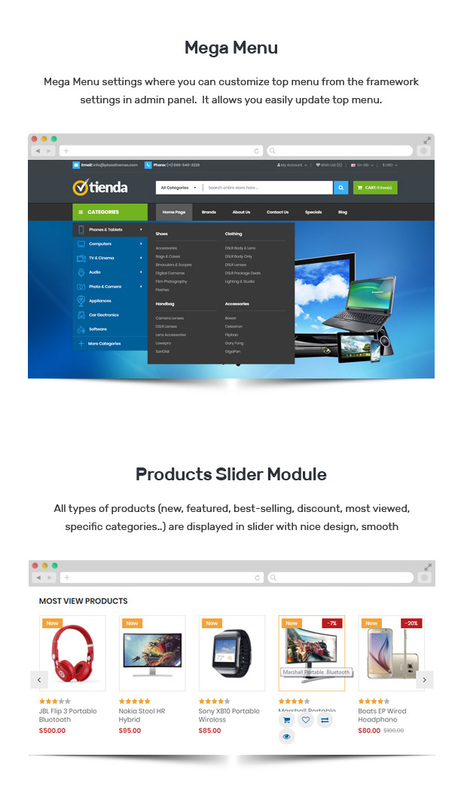 New, featured, discount products, most viewed products are displayed in each tab or each module. 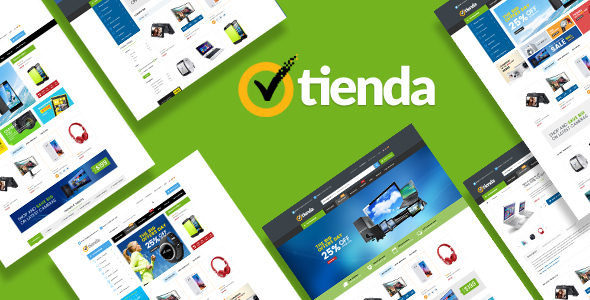 Tienda is bundled with Banner Slideshow help fashion for slider with each effects and banner images. 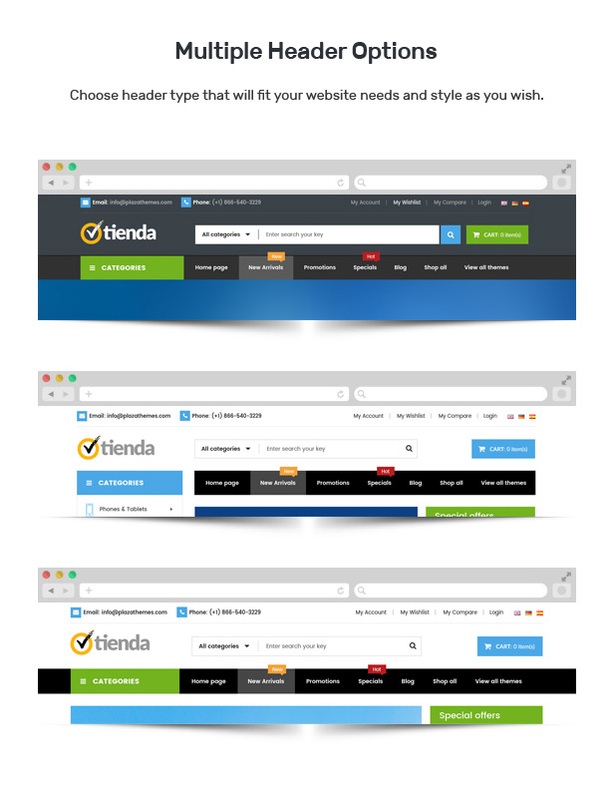 Brand Logo Slider, Blog and Testimonial attract the view of customers with nice brand logo, comments, post and images. 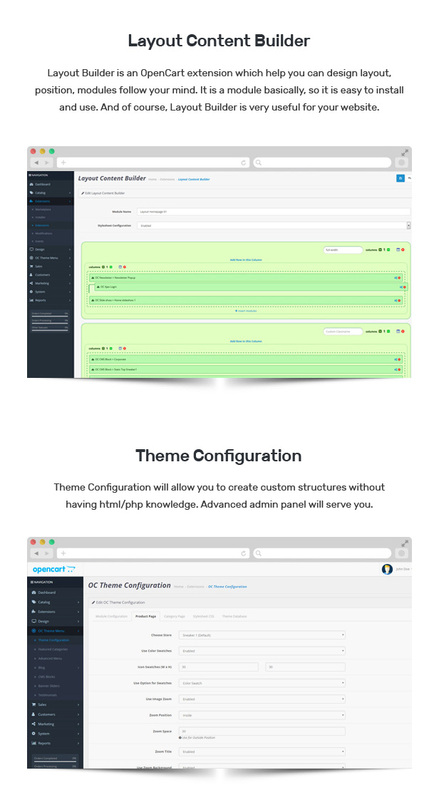 This theme is highly customizable, Theme Configuration allows you to enable catalog mode, quickview, rotator image, config elements parmeters in category page,… This theme also looks sharp and clear on modern devices with high screen resolution. Customers can access and purchase at your store everywhere with only a smart device connected the Internet.